Talking to coaches is not an exact science; they are as different as anyone else you would encounter in another forum. What works with one coach may not work with another. Over time, the “book” on the coach will be known and will become a guide in dealing with him or her. Meanwhile, there are certain approaches that have a high degree of success and others that are sure to fail. 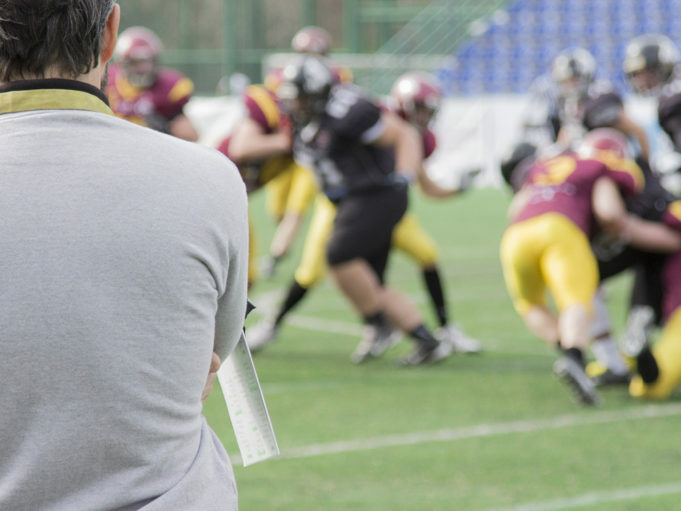 Here are 4 tips for talking to coaches. If it’s not worded as a question, there is a good chance no reply is expected. The coach may merely be venting. Some are just talking to themselves, “thinking out loud.” The context in which statements are made is also important; words can be literal or figurative. Some are clearly figurative statements that are also gallows humor, mere witticisms in the face of a seemingly hopeless situation — the inability to control adverse calls. Any reaction to that type of statement from the bench or dugout will create a problem that doesn’t exist. 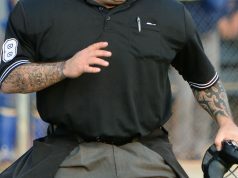 The phrase is usually spoken out of frustration due to a perceived imbalance in fouls. It can be taken literally as a statement that implies favoritism or cheating, but that’s putting words in the coach’s mouth. 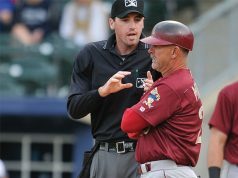 One college baseball umpire was quoted as having a planned retort — “If you’re trying to imply I’m making calls for one team, but not the other, you won’t be sitting on the bench much longer.” That is likely to further aggravate the coach (because he didn’t say that), and it’s also a threat.